A digital marketing agency in Milton Keynes is scaling up for long-term expansion thanks to the support of Velocity Growth Hub. Klood Digital is a full-service digital marketing and web design agency specialising in marketing strategy, search engine optimisation social media marketing, paid media, and website and app development. Klood started life in 2011 as a software development company which created an innovative social media management tool, allowing companies to monitor, analyse and engage with their audience. The team quickly found their advice was in high demand, and Klood Digital was launched, a full service digital marketing agency running alongside the Klood software. As the company grew, so too did the demand from customers. Klood turned to Velocity Growth Hub for help in funding its expansion. Gavin Street, chief financial officer, met business advisor Emmanuelle who reviewed the company’s position and provided advice around business planning and funding to ‘scale up’ the business. He said: “With the help from Emmanuelle and Velocity we were able to secure a grant to us to set up a new department, creating a number on new roles and helping to drive our revenue figures up to the highest we have achieved in a trading year. Gavin added: “The relationship with Emmanuelle has been brilliant. She has always been available to discuss ideas and come out to see us to catch up and discuss ideas and concerns. 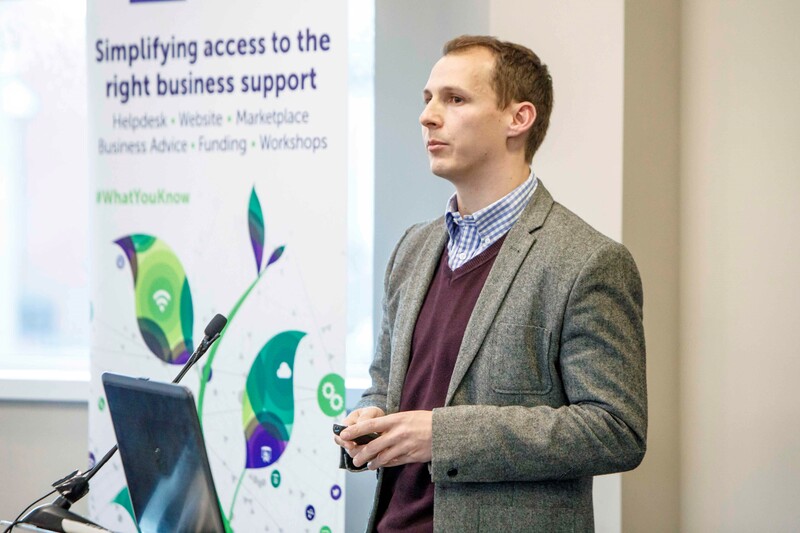 “The Velocity experience has helped us on our journey to scale up and also allowed us the platform at the Scale Up Central event to share our achievements and help other small businesses in local area.